If you want to convert Word file to PDF, preferred method will be to open word file in MS Office and then convert to PDF. But when there are many word files, it when there are too many files to convert, it would be a problem. 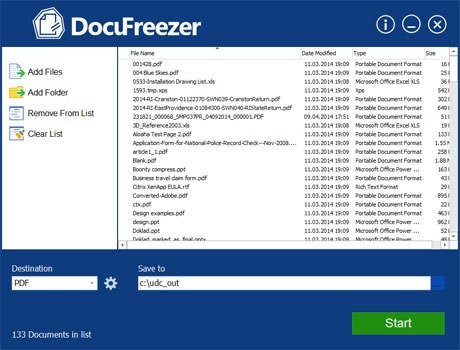 Convert multiple Microsoft Office Word or Powerpoint files into PDF with a utility software called Docufreezer. This new tool can batch convert Word, Excel and powerpoint files to PDF,JPEG,TIFF and PNG. The interface of Docufreezer is pretty simple and supports drag n drop facility. You can also add individual files or folder to input files for converting. Also it should be noted that this application requires MS Office 2010 or later already installed to work properly.